"If you are cold, tea will warm you. If you are heated, it will cool you. If you are depressed, it will cheer you. If you are excited, it will calm you." William Ewart Gladstone was equally as passionate about these infusions as the Chinese, who would rather go three days without food than a day without tea. It is always a good time to grab a book, or a few friends and enjoy a good dose of tranquili-tea. 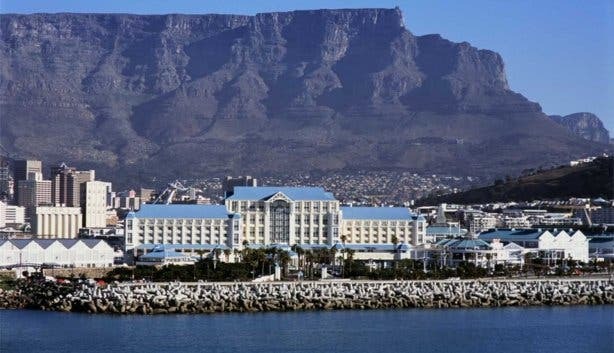 Whether it’s tea for two or two for tea, Cape Town has the right tea spot for you. High Tea/Afternoon Tea in Cape Town and surrounds is always a great way to seal the day. Coco Safar in Sea Point has some delicious coffee roasted to perfection in their state-of-the-art roaster, but that does not mean that they neglect their tea. They treat rooibos with the high respect it deserves, affording it the same care as they do their coffee. You can order fermented rooibos from the espresso bar or siphoned from the slow bar. Pair it with one of the delicious pastries from their patisserie for the ultimate Coco Safar high tea experience. 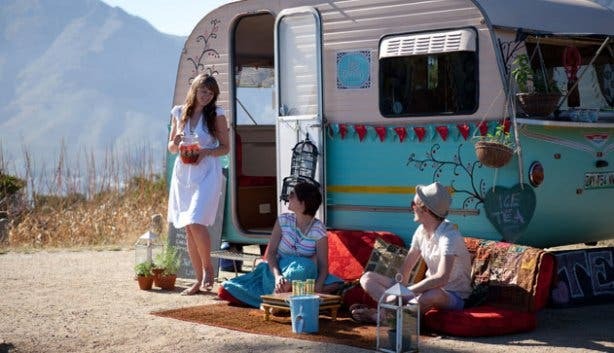 Escape the hustle and bustle of the city by taking a drive out to Franschhoek for a day in the Cape Winelands. Breathe in the fresh country air. 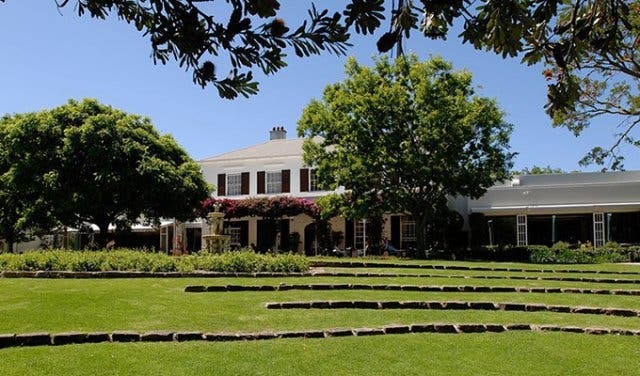 Look over the perfectly manicured lawns, budding grape vines and ode-to-women statues on the La Motte Wine Estate while you enjoy their famed Winelands Tea. 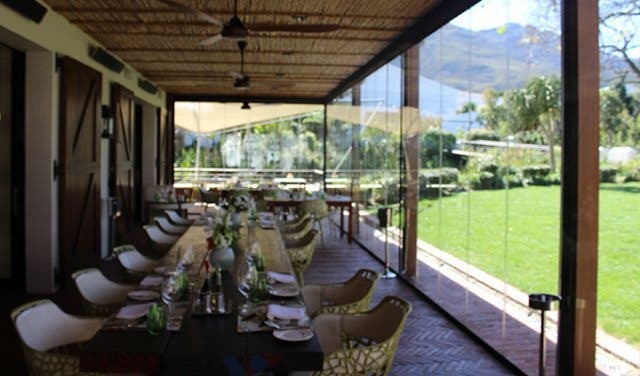 Served between 9am and 5pm from Tuesday to Sunday in the Pierneef restaurant, on the stoep or in the garden, guests can get a cup of positivi-tea (and treats!) for R165/p. Drinks: Sip on a selection of herbal teas served in a delicate tea-set made especially by famed fine artist and ceramicist Ella-Lou O’Meara. Not only is there a variety of red, green, black, white, matured and fruit-infused teas from local and international producers, but coffee lovers can get their fix of locally blended java if they so wish. Toast to an indulgent affair with a glass of bubbly at an additional cost of R65. Snacks: Open your glass cloche to an array of bite-sized savoury and sweet morsels. Smoked salmon sandwiches with cream cheese and chives, sausage rolls, soetkoekies (sweet biscuits) and macarons are just some of the treats you’ll sample. 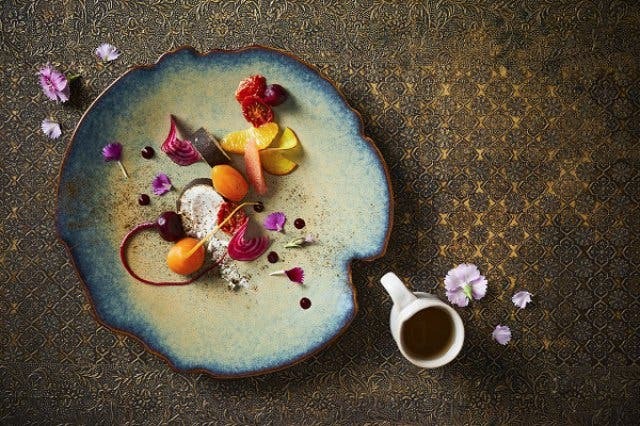 Drinks: A wide variety of Ronnefeldt speciality teas are on offer at this upmarket hotspot. Choose from the Rooibos chocolate truffle tea, the masala chai tea, matcha tea and more! 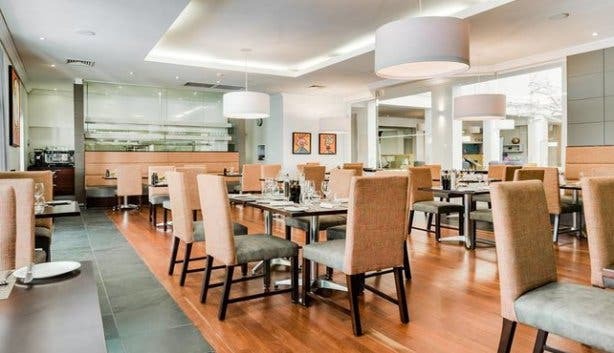 Snacks: 126 Cape Café offers authentic halaal certified treats and head chef, Candice bakes fresh pastries daily. Croissants, either filled or not, are on the menu, as well as cookies and muffins, of which the flavours change quite regularly. 126 Cape Café is also known for mini mono-cakes, which includes black forest, strawberry cheesecake or various flavoured tarts, to name but a few. 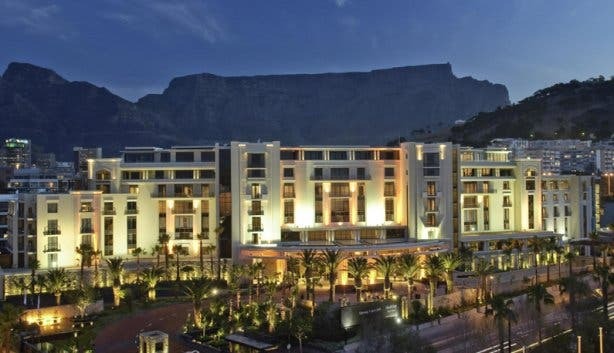 With the pastry pairing, the best offerings are on the menu, including the milk and fynbos honey wedge, cardamom and pistachio scented macaroon, as well as the lemon and lime-spiked meringue. Go on, treat yourself! Whether it’s a business meeting, a birthday party, or just a bit of self-indulgence, tea at The Mount Nelson is a sweet affair. Morning tea is from 9:30 am – 12 pm daily, and afternoon tea is from 1:30 pm – 5.30pm with live music. Dress code is smart-casual. Drinks: A varied array of leaf and flowering teas from Nigiro Tea Merchants are on offer, including the signature Mount Nelson Tea; a blend of six teas with rose petals taken from the Mount Nelson’s very own garden. Other teas include Darjeeling, Kenya, Assam, Keemun, Yunnan and Ceylon. Snacks: The moreish finger sandwiches filled with rare roast beef and rocket are always available, as well as smoked salmon, egg mayonnaise or cucumber fillings. 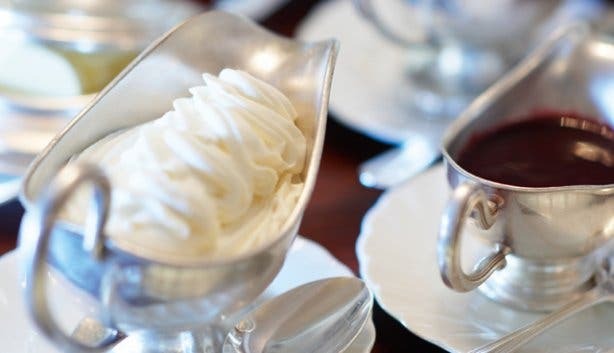 You can find delectable dark chocolate cake, heavenly lemon meringue; freshly baked scones are served with clotted cream and preserves for the ultimate indulgence. 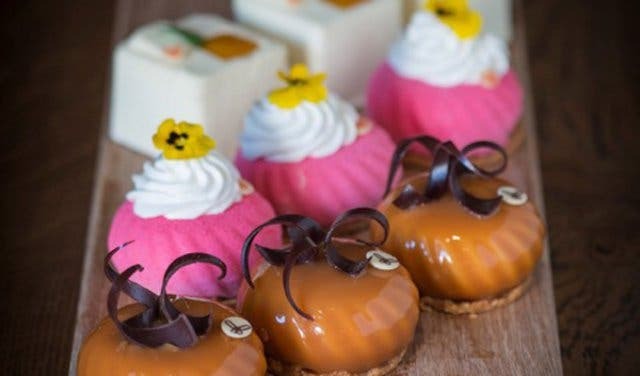 The Royal Tea is as elegant as its name suggests, the pastry chefs at this award-winning hotel are popular for their exquisite tea time treats. Allowing guests to devour them in peace, afternoon tea is served daily at 2:30pm to 4:30pm. Call ahead and make a reservation to avoid disappointment. 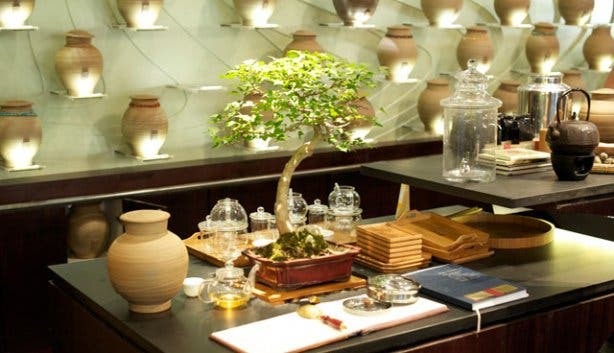 Drinks: The tea chest includes a wide array of speciality loose teas and the coffee is roasted in Cape Town by Truth. 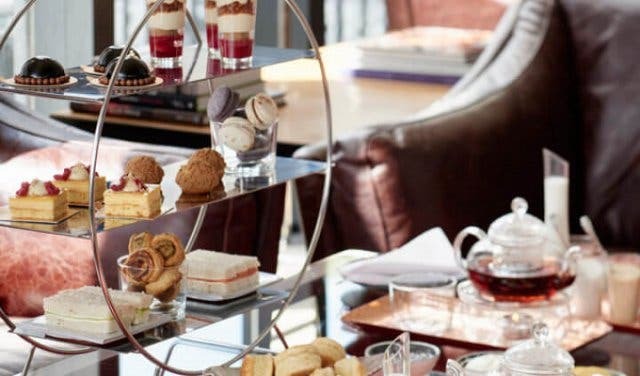 Snacks: Indulge in a selection of petit gateaux and exquisite teatime treats, including a mouthwatering selection of savoury delights to the Royal Tea experience. Drinks: A wide variety of Twinings and Dilmah teas from Jasmine, Lemon, Pure Peppermint, Ginger spice, Blackcurrant, and Peach teas are available. It is safe to say every blend is brew-tifully made. Snacks: For snacking expect a tray with a selection of finger sandwiches, vegetarian quiche, mini chocolate tart, poppy seed cake. 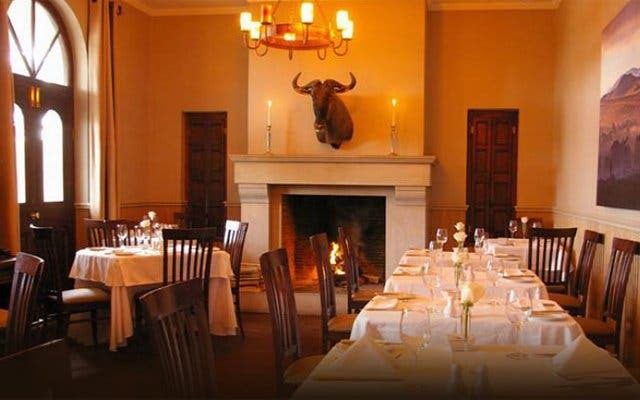 Sit down to a traditional Swiss Farm style tea at the picturesque Le Franschhoek Hotel and Spa while the melodic background music of Alida is played on a Baby Grand in the background. Guests receive a complimentary glass of sparkling wine on arrival. 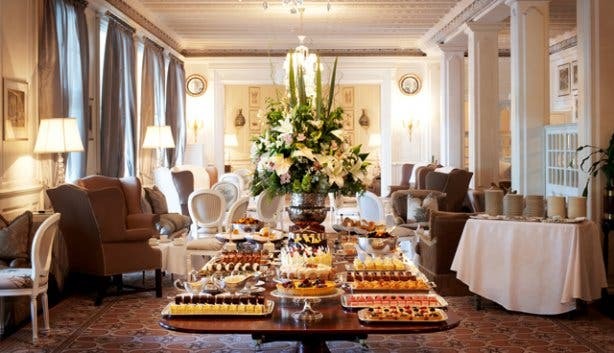 Traditional high tea is from 10am - 5pm daily. Drinks: Dilmah teas with a variety of flavours to choose from, including vanilla, almond, Moroccan mint, and all the standards teas. Snacks: Scones with cream and preserve, cucumber and cream cheese sandwiches, salmon and cream cheese sandwiches, sweet pastries, baked cheesecake with berry compote and carrot cake with cream cheese and roasted hazelnut topping. 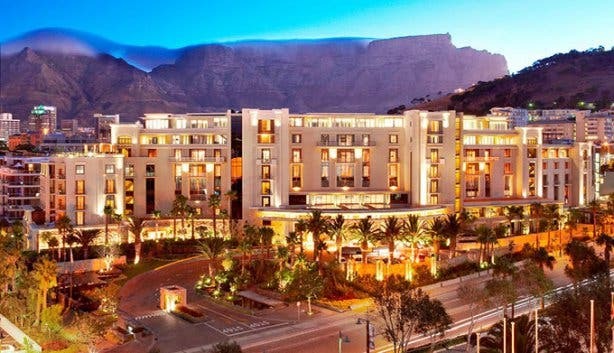 High tea at the Table Bay Hotel is an opulent affair and takes place daily from 2.30pm - 5.30pm. Drinks: A selection of fresh house teas, specialised coffees and homemade ice tea. Snacks: Blueberry muffins, raisin scones, homemade jams, lemon curd and Chantilly clotted cream, chocolate-peanut butter cake, red velvet cupcakes etc. Plus, something a little savoury: roasted parsnip, mushroom and cheese quiche or smoked salmon and asparagus quiche. 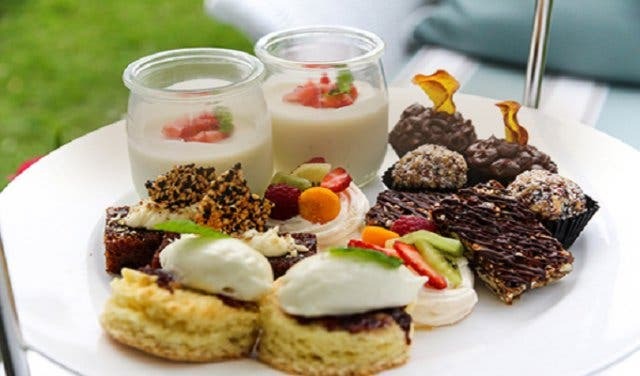 The Low Carb High Tea is the perfect excuse to indulge in guilt-free treats in the afternoon; whether it is sweet or savoury, you are sure to enjoy yourself. 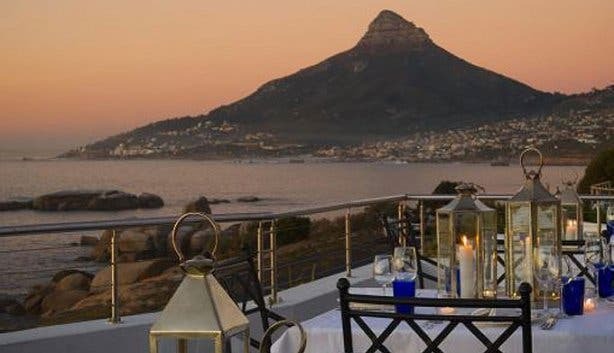 Settled in the flourishing Constantia Valley, on the slopes that created Table Mountain, you can admire the magnificent views as afternoon tea runs from 3pm to 5pm. Drinks: From classic green to sweet ginger, there is a variety of teas and coffees to choose from. The popular favourites have to be the vanilla rooibos tea, red berry teas as well as camomile tea. Snacks: Enjoy an array of open sandwiches, as well as sweet and savoury treats ranging from yoghurt honey panna cotta to broccoli roasted red peppers & goat cheese tarts. 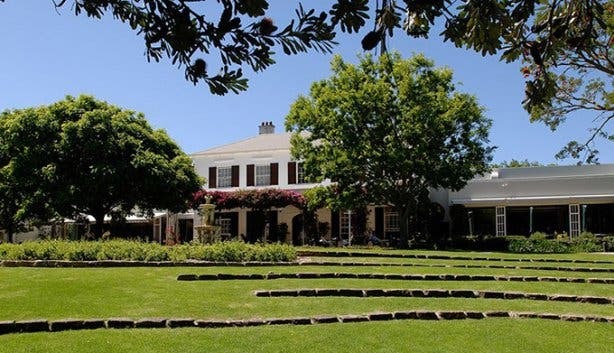 Journey out to the South African olive country for a spot of tea and tradition at one of Riebeek Kasteel’s colonial treasures. 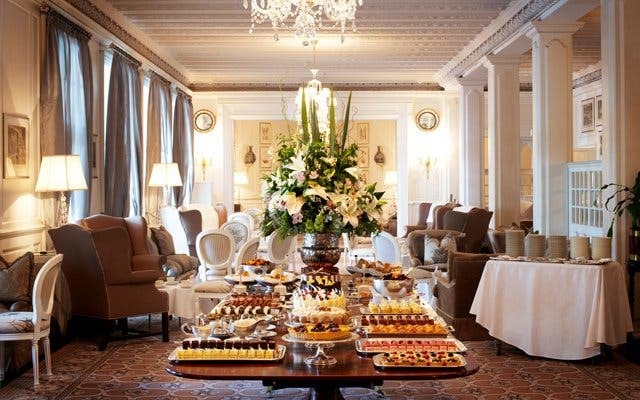 High tea at the Royal Hotel, a charming country outpost just an hour from Cape Town’s city centre, takes place every Saturday at 3:30pm. The regal affair demands that guests arrive dressed appropriately in smart casual wear. Drinks: An aromatic selection of loose leaf teas. Snacks: A smorgasbord of sweet and savoury delights. 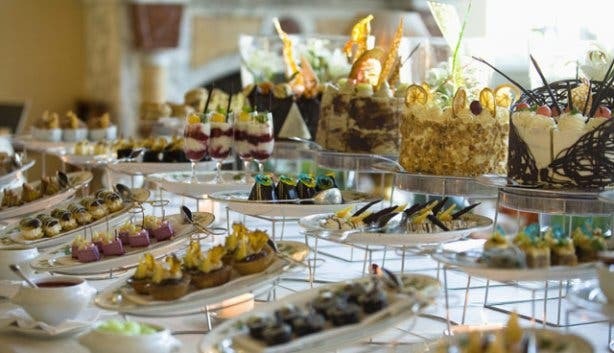 Guests can look forward to a buffet-style offering of delicate finger sandwiches, delectable quiches, heavenly tarts and decadent pastries. The carrot cake, with its light-as-air cream cheese, is a house speciality. ‘Anytime is Tea Time’ at Origin Coffee Roasting & Nigiro Tea. 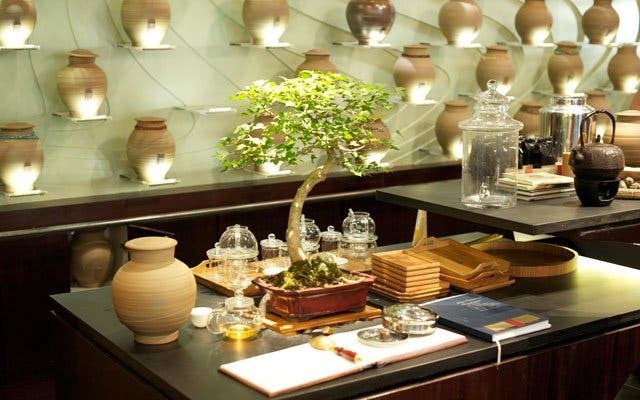 Nigiro Tea Merchants is fast becoming synonymous with tea culture in Cape Town. Sit down in the calming space of the tea garden, and discover what all the fuss is about. Mondays to Fridays: 8:30am – 5pm, Saturday & Sunday 9am – 2pm. Drinks: 180+ teas sourced from various parts of the world: China, Japan, Taiwan, India, Sri Lanka, Kenya, Malawi, Egypt, Turkey, Czech Republic and Greece. Green, White, Show Tea, Oolong, Black, Red, Fruit Infusion, Herbal Infusion and Rooibos. Snacks: Dim Sum - vegetable and soya mince filled bun; Zong zi – two bamboo leaves filled with sticky rice, shiitake mushrooms, peanuts and soya mince. Breakfast and lunch options are also available. Open seven days a week from 9am - 5pm; high teas on request. Drinks: Black tea, Earl Grey, Herbal, organic rooibos, light buchu tea and Lavazza coffee. Snacks: Cakes (they have had the same baker for 25 years using tried and tested recipes): apple crumble, milk tart, brandy pudding, scones, muffins and lemon meringue. 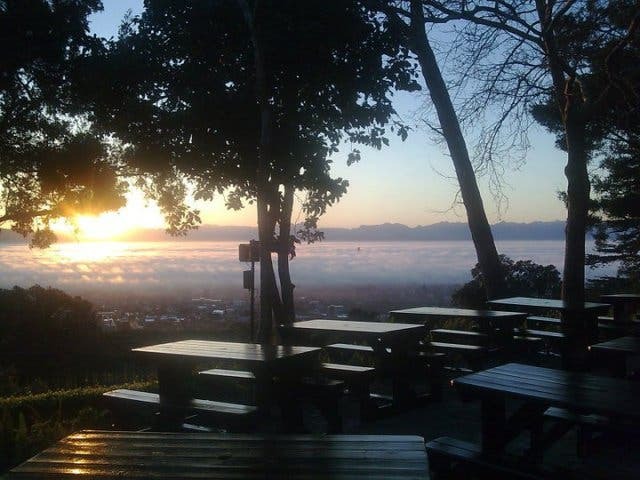 The teahouse is situated on a verandah, where you have the best view of False Bay. The menu consists of vegan and vegetarian meals, popular in Tibetan culture. The Tibetan Tea House is opened from Tuesday to Sunday, 10am to 5pm. Drinks: The two most popular teas are the homemade spiced Chai and the Tibetan salty butter tea. They serve these in traditional Tibetan wooden teacups, as Tibetan folklore states that “drinking tea from a wooden cup makes you handsome, popular and wise!” Also on offer is an excellent range of imported organic black, white and green teas, fruit infusions and flavoured rooibos teas that are sourced from truly organic suppliers who uphold fair-trade principles. 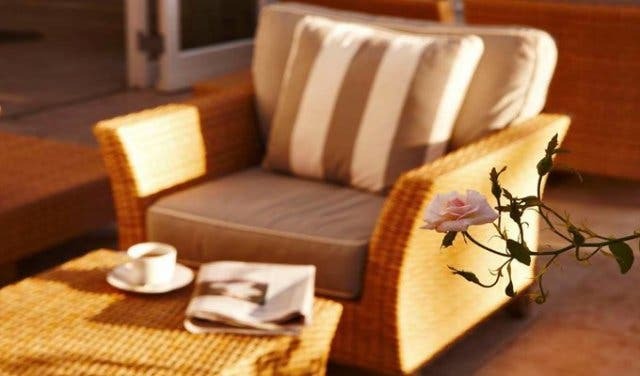 Fresh herb teas and infusions from herbs, such as rose geranium, lemon geranium and lemongrass, are also on offer and are sourced from an on-site organic garden. Snacks: The emphasis is on 'kind food'; that is, delicious vegan and vegetarian food based on Tibetan recipes. Despite the fact that Tibetans don’t really eat cakes, the sweet-toothed among us are well-catered for with an all vegan egg-free sweets menu. Scones, chocolate cake, apple crumble with vegan cream or ice-cream, lemon cupcakes which include gluten free-, egg free- and wheat free versions. 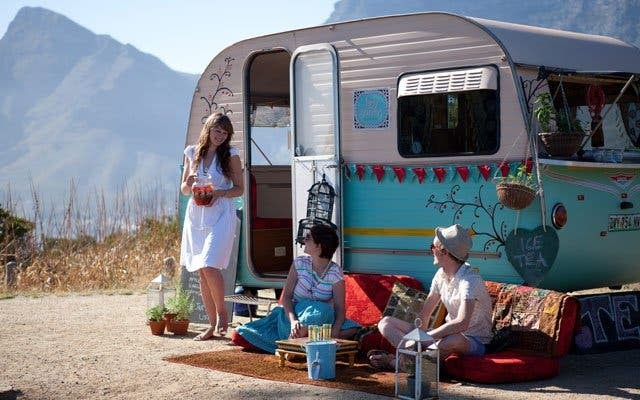 Look out for the baby-blue caravan with quirky, bohemian decorations because this travelling tea-gypsy knows a thing or two about her favourite cuppa. Lady Bonin travels to different markets, festivals and events, offering an alternative to the usual coffee takeaways. Drinks: Loose-leaf teas as takeaway hot teas or iced-teas and fresh daily blends. 23 different loose-leaf teas: blended black, green, white, Oolong, fruit infusions, herbal in glass jars sourced from their countries of origin and locally. The list is endless! Snacks: Cupcakes, delicacies and other savoury treats that complement each tea. Daily afternoon tea served from 8:30am – 5pm. 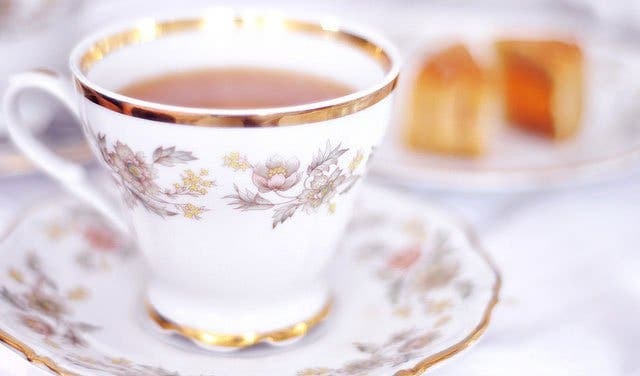 The high tea is served for groups of 20 or more so gather your friends and let that tea sink in. 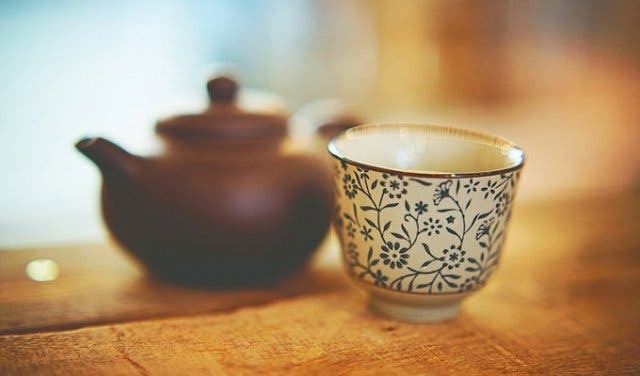 Drinks: Dilmah teas with a variety of flavours to choose from, including Ceylon, Earl Grey, peppermint, chamomile, Green tea and ginger, are ready and waiting to be sipped. Snacks: This quaint café will fashion cucumber and cream cheese fillings or egg sandwiches; either on white or whole-wheat bread. You can also treat yourself to mini spinach-and-feta quiches, home-made scones with strawberry jam and clotted cream and cake. Rather want coffee? 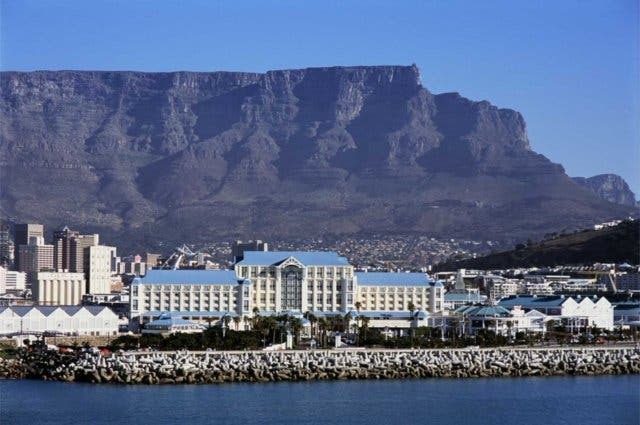 Here you find Cape Town’s coffee roasters and cool Cape Town coffee shops. What goes immensely well with tea? Crêpes. Check out Cape Town's first authentic Parisian crêperie.